Most building services engineers follow a career path that involves them in all aspects of building services (which includes pipe systems, duct systems, heat transfer, acoustics, fire prevention, psychometrics, heating and cooling load estimation etc). This means that they have a broad general knowledge but seldom a detailed understanding of any particular field. Chris Parsloe is a true specialist. He has spent the majority of his 30 year career researching or advising on pipework systems in buildings. This gives him a deeper understanding of the engineering issues than most building services practitioners. 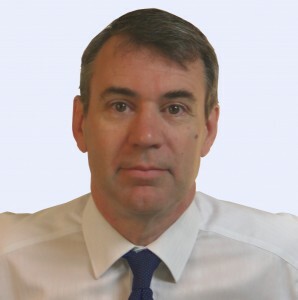 Chris Parsloe is the author of most of the commonly referenced building service guides on pipework system design, commissioning and pre-commission cleaning (see technical authorship). Other experts are likely to turn to these guides to support their arguments. Chris Parsloe has the advantage of knowing what the guides say, what they mean and why the guidance is given. The scope of Chris Parsloe’s specialist knowledge encompasses both theoretical and practical issues. He has worked on projects that involve application of the D’Arcy and Colebrook-White equations for calculating pipework pressure losses in pipes. He has also used the Bernoulli equation for plotting hydraulic gradients, predicting valve cavitation and for sizing expansion vessels. Experience gained from trouble-shooting commissioning and pre-commission cleaning problems means he also has a strong appreciation of the practical issues. He regularly works with installing contractors, valve manufacturers, commissioning specialists and cleaning specialists during system investigations. Clear presentation of opinions is a critical aspect of expert witness work. Chris’s experience as a technical author and training course presenter has equipped him with excellent written and verbal communication skills.